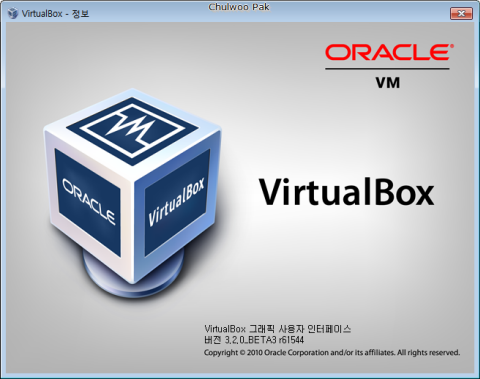 대표적인 가상화(Virtualization) 솔루션의 하나이면서 오픈 소스 소프트웨어인 VirtualBox(버추얼박스) 3.2.0 베타 1 버전이 4월 28일자로 나왔다. 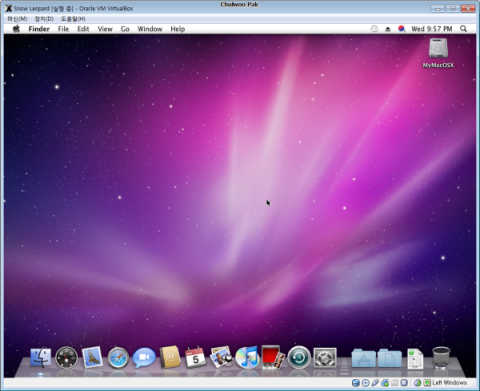 이번 버전부터는 Mac OS X을 게스트 운영 체제로도 지원("VirtualBox에 Mac OS X 설치하기", 2010. 5. 5. )하기 때문에 과거보다 더 많은 주목을 받고 있다. 이제 5월 7일자로 베타 2 버전이 나왔고, 5월 12일자로 베타 3 버전이 나왔다. The Java bindings were removed as there are some conceptual changes necessary. Java bindings will be finally added in a future maintenance release. LsiLogic: It is possible to have a SCSI and SAS controller in one VM now. Linux hosts: Fixed kernel oops when using a wireless network interface. 참고로 이번 3.2 버전부터는 배포 주체가 Sun Microsystems에서 Oracle(오라클)로 변경되어 로고도 변경되었다.